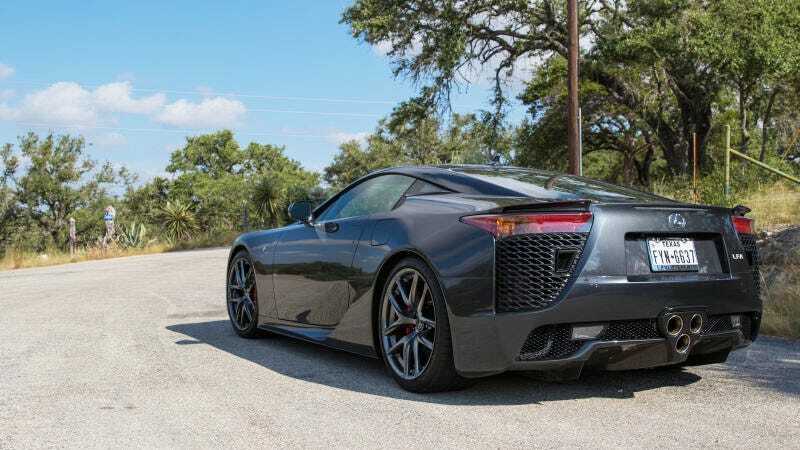 I’m not really one for superstitions or auspicious number sequences, but they stopped the Lexus LFA’s production in December 2012 and we learned earlier this week that there are 12 unsold ones floating around in dealerships across the U.S. Twelve, 12 and 12. This deserves some digging. STOP EVERYTHING: There Are 12 Never-Sold Lexus LFAs In The U.S.
Lexus told us that it has no record of which dealerships the cars went to, so we’re trying to track down these last 12 unsold Lexus LFAs. We need your help, internet sleuths. We need your eyes and ears. I’m sure many Lexus dealerships across the country have, at this point in time, an LFA on display. But those cars could very well be used ones that the dealer is trying to sell off. The trick is figuring out if that LFA has never been sold. Hints could be if it has an obscenely low mileage count or if it’s been on display at the dealership since at least 2012. Apparently, the car was purchased by the dealer in 2012 and mostly kept on rotating display between the Lansing store and another one in Ann Arbor, according to another reader, Scott, who used to work at Lexus of Ann Arbor. We’ve reached out to Lexus of Lansing about the LFA and will update if we hear back. In the meantime, do you guys know of any LFAs that fit that description? Email me at kristen at jalopnik dot com. Or you can copy/paste the address from the little gray box down below.